What's The Best Way To Be A Jerk At A Track Day? We live in a society. And while that’s great for those of us who think hunting and gathering are for chumps, it comes at a high price: not being a jerk to everyone all the time. So when you decide to enjoy yourself — say, by taking your car to the track — wouldn’t you just love to, you know, be a jerk? Let’s find the best ways to do that. When you’re doing some track event — anything from an autocross to a full-on race — there’s a heady mix of excitement and danger and pride and a running tally in your head of all the cash you’re burning. In short, it’s an ideal environment for jerk-making. 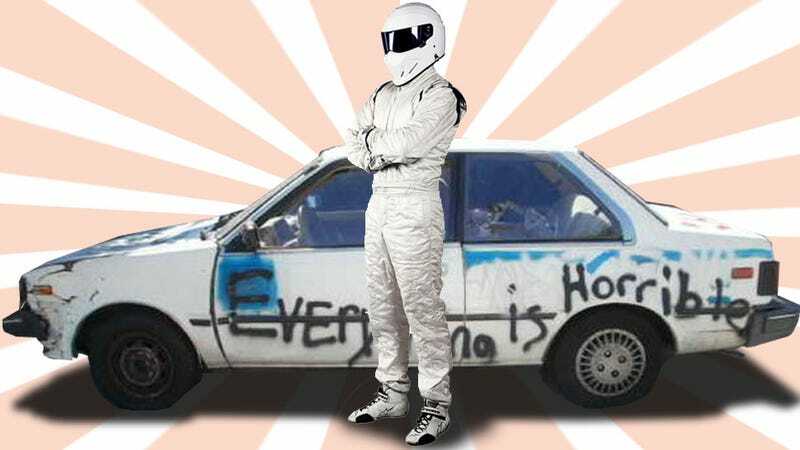 You could be the guy who shows up at autocross in a full, expensive fire suit (minus the gloves)! You could be the jackass who lies and brags about his experience! There’s so many options! So, pals — what’s your favorite. Include stories, please.